The state of Colorado is working on a system that would use drones to provide live video of wildfires to wildland firefighters’ cell phones. The Center of Excellence for Advanced Technology Aerial Firefighting is beta testing a DVI Mavic drone that would push the real time video to firefighters using software developed by the military, Android Team Awareness Kit (ATAK). The program has the capability of displaying data from tracking devices carried by soldiers, or firefighters, and identifying their location on a map, which in this case could also show the fire in real time. If they are successful in developing and implementing a system that can provide to fire managers real time information about the location of a wildfire AND firefighting resources, it would achieve what we call the Holy Grail of Wildland Firefighter Safety — knowing those two elements of information. The DJI Mavic can only stay in the air for 20 to 30 minutes before having to return to base to replace the battery. So this beta test is probably only a proof of concept attempt, perhaps leading to a more robust drone, rotor or fixed wing, that could stay in the air for a much longer period of time. One of the two State of Colorado’s Pilatus PC12’s, was photographed in March of 2016 in Sacramento. Colorado already has the ability to transmit near real time imagery of fires from their two MultiMission Aircraft, Pilatus PC12’s. They are integrated with the Colorado Wildfire Information System, a geospatial database that displays incident images and details to local fire managers through a web based application. Might the USFS acquire military surplus Predator drones? With 24 hours of endurance they could provide continuous real-time intelligence to firefighters on the ground. A decision by the U.S. Air Force to retire an aircraft could help the U.S. Forest Service and other wildland fire agencies provide a safer working environment for their firefighters. The Air Force will stop flying their MQ-1 Predator drones as early as July 1 of this year as they completely transition to the much more capable MQ-9 Reaper. The MQ-1 was never designed to carry weapons since it was built with a payload capacity of only 200 pounds. Eventually some of the aircraft had their wings and hard points beefed up and were able to carry various combinations of Hellfire, Stinger, and Griffin missiles. The replacement, the MQ-9, can carry up to 4,000 pounds of both missiles and bombs. A long-endurance drone orbiting over a wildland fire for up to 24 hours at a time would help provide an often missing and very important piece of situation awareness information — the real time location of the fire and the location of personnel and equipment. 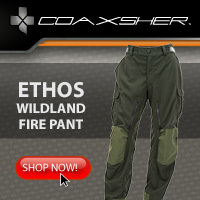 We call this the Holy Grail of Wildland Firefighter Safety. 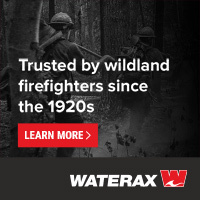 Using its true color and infrared sensors it could help fireline supervisors make decisions about where to deploy, and more importantly not deploy, firefighters based on their view of exactly where the fire is, the intensity, and the rate of spread. Too many firefighters have perished in part because they were not aware of where the fire was in relation to their location. Drones have been used before on wildland fires. In 2008 and again in 2009 NASA made available their Ikhana Predator B UAV. The California National Guard is operating a Predator unmanned aerial vehicle over the Rim Fire in Yosemite National Park. The MQ-1 Predator is streaming real-time video down to the Incident Command Post and reportedly alerted firefighters to a flare-up they otherwise would not have immediately seen. A drone orbiting over a fire could also serve as a radio repeater and provide an aerial hub for a network of location trackers carried by firefighters which would enable icons representing their real time locations to be shown on maps. In recent years the US Forest Service has shown a willingness to utilize discarded military aircraft, such as the Sherpa and the HC-130H. Author Bill GabbertPosted on March 16, 2017 March 20, 2017 Categories Drone/UAV/UASTags Holy Grail, Predator3 Comments on Might the USFS acquire military surplus Predator drones? Above: One of Colorado’s two Pilatus PC-12 “Multi-mission Aircraft” at McClellan Air Field, March 23, 2016. Photo by Bill Gabbert. This article was originally published on Wildfire Today. 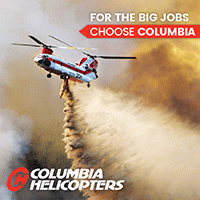 Colorado’s Center of Excellence for Advanced Technology Aerial Firefighting is requesting information from vendors who could supply equipment that would transmit from aircraft near real-time information about wildfires directly to firefighters on the ground. The state’s Division of Fire Prevention and Control recently acquired two Pilatus PC-12 Multi-Mission Aircraft. 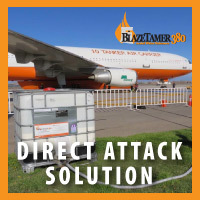 Sensors on the planes can detect and map the location of fires and transmit near real-time spatial data, still images, and short video clips to the Colorado Wildfire Information Management System (CO-WIMS), a web-based situational awareness platform. 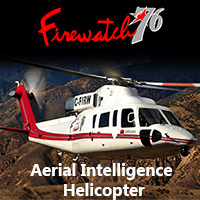 Fire managers can log into CO-WIMS to view fire perimeters and the other data generated by the aircraft. Firefighters on the ground who have access to the system can view the information as long as they have a good 4G cellular connection. However, many remote areas do not have cellular service. Colorado’s Request for Information is asking for descriptions and prices of systems that could get this data directly into the hands of firefighters actively engaged in suppressing a fire. Responses are due by June 13, 2016. This could supply half of the Holy Grail of Wildland Firefighter Safety, providing to firefighters near real-time information about the location of a fire. The other half is near real-time information about the location of firefighters. Guy Jones, one of the pilots for Colorado’s Pilatus PC-12 “Multi-mission Aircraft”, explains the sensing capabilities of the aircraft’s equipment at McClellan Air Field, March 23, 2016. Photo by Bill Gabbert. One of the two Multi Mission Aircraft owned by the Colorado Division of Fire Prevention and Control. CDFPC photo. 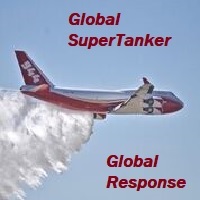 The two Multi Mission Aircraft (MMA) recently purchased by the Colorado Division of Fire Prevention and Control could be significant progress toward what we have called the Holy Grail of Firefighter Safety — knowing the real time location of a wildfire and firefighters. The Pilatus PC-12 single-engine aircraft have sensors on board combined with communications and software capabilities that can provide a version of the Holy Grail to office-bound fire managers as well as firefighters on the ground. Operating well above firefighting air tankers and helicopters, the MMAs have two cameras, color and infrared. The color camera provides video similar to that used by news helicopters orbiting over a wildfire in California. The heat-detecting infrared sensor can map the location of large fires and can find small ones that can be difficult or impossible to spot from the air using just human eyesight. The cameras can be used to monitor the locations of firefighters on the ground, however their identities or resource designators would not be automatically provided. 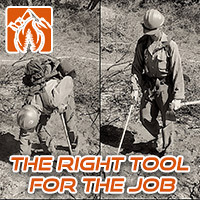 The suite of communications and software, called Colorado Wildfire Information Management System (CO-WIMS), transmits the data from the sensors in a usable form to a network where it can be accessed by authorized personnel in offices, fire apparatus, and firefighters on the ground with hand held devices. Half of the Holy Grail appears to be provided with the MMAs — the real time or near-real time location of the fire. The other half, knowing the location of firefighters, can be determined to a certain extent, but only if the equipment operator devotes a significant amount of their time using the cameras to follow personnel and equipment on the ground. On a small fire this could be done while still maintaining the big picture of the spread of the fire, but on large incidents with hundreds or thousands of resources, it would be impossible. 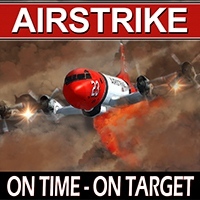 However, if a crew reported that they were in a dangerous situation (think Yarnell Hill Fire, where 19 firefighters died), perhaps the operator could use the infrared and visual sensors to locate them and relay that information to resources on the ground or in the air that could provide assistance. The wildland firefighting agencies still need to adopt hardware and communications systems that can track every piece of apparatus, crew, and any resource operating alone on the fireline. That information could then be accessed on a display that could be monitored, at a minimum, by a Safety Officer, and others as needed; eventually by fire supervisors with hand held devices. Some of the air attack aircraft under federal contract either have or will have video capabilities similar to that on Colorado’s MMAs, but a system needs to be utilized by the U.S. Forest Service and other agencies that can make it usable to firefighters on the ground. Colorado has provided a template proving it can be done. The CO-WIMS being used now by Colorado to provide real time intelligence is a huge step forward. 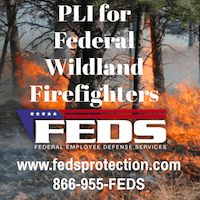 While the state is far from developing a comprehensive organization for responding to and managing wildland fires, they deserve kudos for what they have already implemented with the MMAs and CO-WIMS. It’s kind of like a homeless person being given a pair of $500 shoes. It’s a nice addition to their wardrobe, but there is still more that needs to be done. More information: A .pdf version of a DCFPC presentation about the MMA and CO-WIMS at the October 21-23, 2015 Colorado State Fire Chiefs Fire Leadership Conference.